TRT 1 is producing a cabaret show called 'Güle Güle' (Laughing By) in an endeavor to promote theater actors and actresses. State-run TV channel TRT 1 (Turkish Radio Television) is presenting a new cabaret show, "Güle Güle." The show is different from previous productions of the TV channel, as it is purely comedy oriented. The gala for "Güle Güle" was hosted at the Çırağan Palace on Monday. With the show's crew in attendance and members of the press, the event started with cocktails. It was to be followed by a concert. However, to commemorate the 30 people who died in Suruç as a result of a terror attack, the concert was cancelled. Speakers at the event mentioned the massacre and extended their condolences. The event also included a small collage of sketches that will be on the show. The producer of the show, Mustafa Odabaşı, stated that the cabaret show, "Güle Güle," includes several sketches, and targets the usual TRT audience. Odabaşı stressed that TRT has a fixed audience that usually consists of families, which is also the target of the show. By targeting families, he believes that they will avoid creating obscene jokes and remain a funny, but high-quality program. 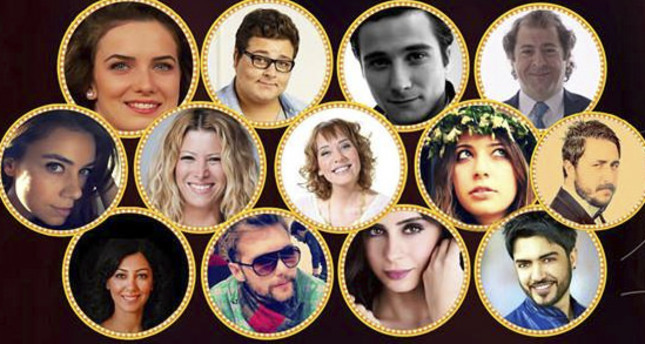 The cast of "Güle Güle" consists of experienced professionals, such as Erdem Akakçe, Melda Gür, Caner Kadayıfçı, Burçin Bildik, Mehtap Bayri and Hayal Garip as well as new talents who will participate in the show in the future. Singer Yusuf Güney, a popular figure, is also in the cast. This combination allows new talents to learn from more experienced co-workers. As a cabaret show, "Güle Güle" aims to promote theater on TV. Odabaşı emphasized that theaters and actors are underappreciated. They do not earn enough and they are not followed eagerly when compared to their colleagues on TV series. According to Miraç Kazancı, the director of the show, shows like "Güle Güle," which bring theater to TV, help to promote theater actors and actresses. He stressed that people are more motivated to go to plays featuring actors that they have seen and enjoyed on TV. Therefore, both Odabaşı and Kazancı hope that "Güle Güle" will support the art of theater on TV. "Güle Güle" will air every Tuesday at 7:55 p.m. The program promises to entertain people from every age group - from children to the elderly.